Enchanted she is! 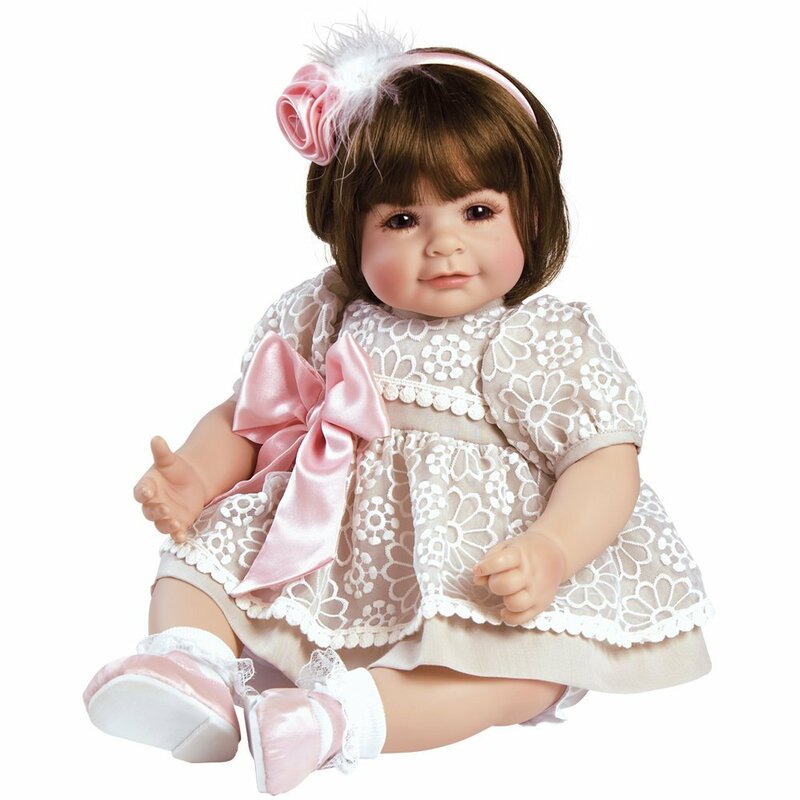 This little bundle of beauty is irresistible with chocolate brown hair, dark, mesmerizing eyes and the most sweet and delicate ensemble. 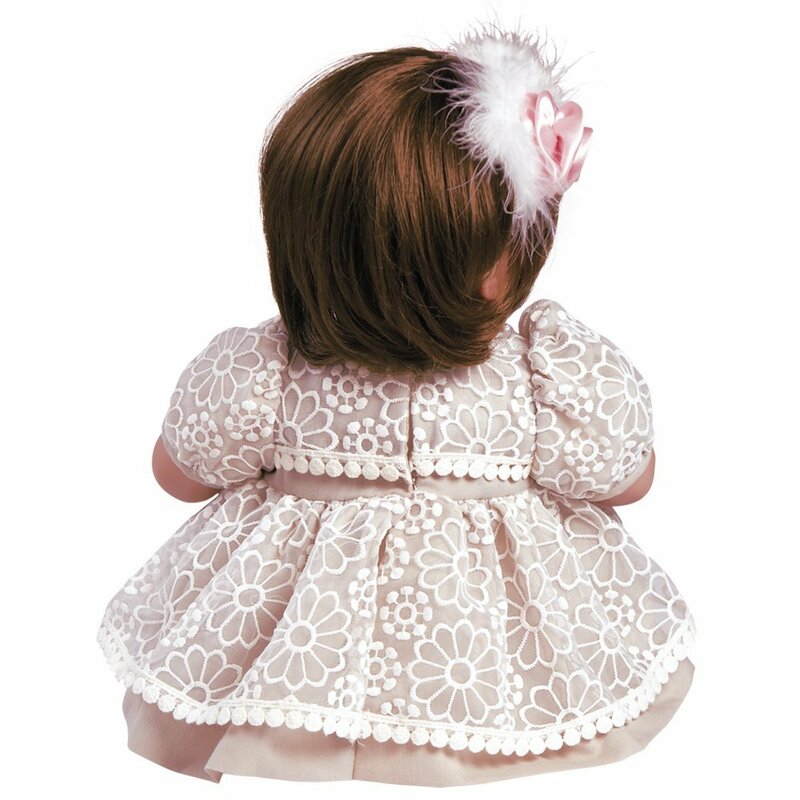 You won't be able to resist loving on her precious cheeks and hugging her delicately designed empire waist dress. The touches of soft pink add to her adorable look and feel. Perfect for kids age 6+! Toddler Time Babies are absolutely adorable in more ways than one! With amazing features, lifelike hand-painted faces, and hand sewn premium quality fashions, these dolls look and feel like real little toddlers. These little cuties will melt your heart and make you smile! Toddler Time Babies are absolutely adorable in more ways than one! With amazing features, lifelike hand-painted faces, and hand sewn premium quality fashions, these dolls look and feel like real little toddlers. These little cuties will melt your heart and make you smile!.